A £50 deposit is required to secure the booking. The balance is then payable 6 weeks prior to your arrival date. If you've not stayed in our caravan before, we will also require a £100 refundable deposit against damages. Sited on a quiet corner plot in Kiln Park, our caravan has three bedrooms and a pull-out sofa bed in the lounge, so could sleep 8 people. It has a shower room with a toilet, and a second separate toilet. The kitchen is well equipped. 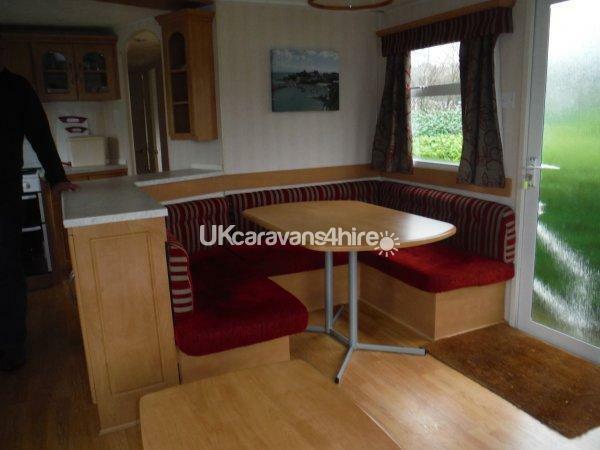 The open plan lounge/fining area has wooden flooring, and has recently been newly curtained and reupholstered. It has a TV and DVD, and there's a second TV in the main bedroom. 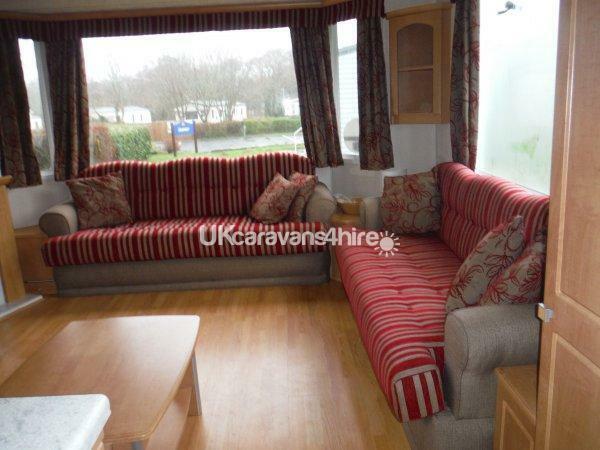 The caravan has a private patio area, with patio furniture stored in the caravan to use.